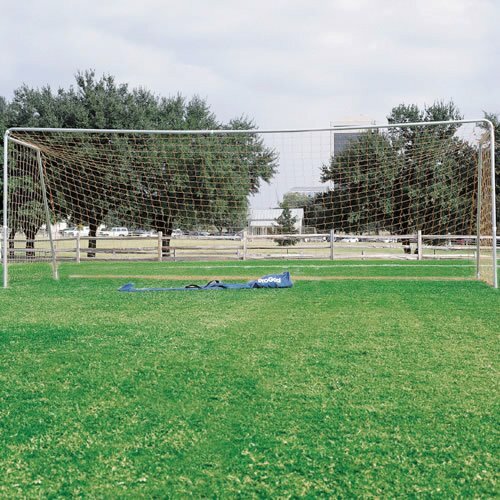 Turn any park into a soccer field using this 8’high x 24’ wide Portable Practice Soccer Goal. 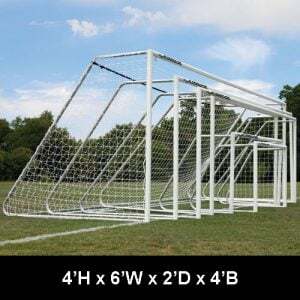 Made from 2” extra-strong aluminum tubing for a sturdy frame that withstands the toughest plays. 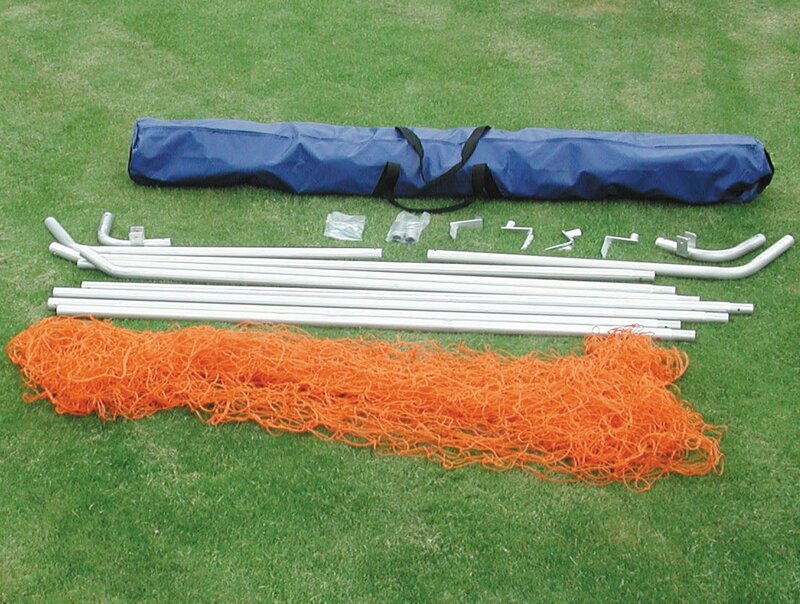 Four ground stakes keep the goal anchored to prevent movement during the game. 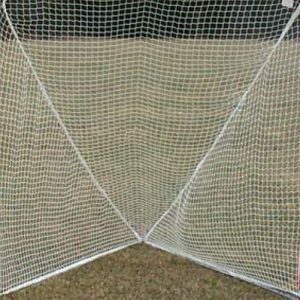 Full-size weather-resistant net holds up against wear and tear from repeated shots on goal. Fast break-down and convenient portability with a 3-piece front crossbar system. 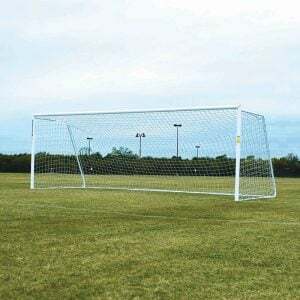 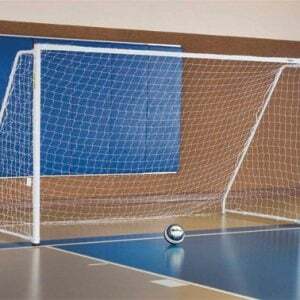 Sold as a single goal with net.